It’s the time of year to layer up and get cozy! In our house we’ve got loads of blankets and pillows perfect for piling up on the couch and snuggling into with a good book or movie. I’m kind of a sucker for all the greys and neutrals out there, and they’re a perfect backdrop for adding pops of colour, pattern, and texture for visual interest. Even something as simple as a few throw pillows can change the look of a room for the season. 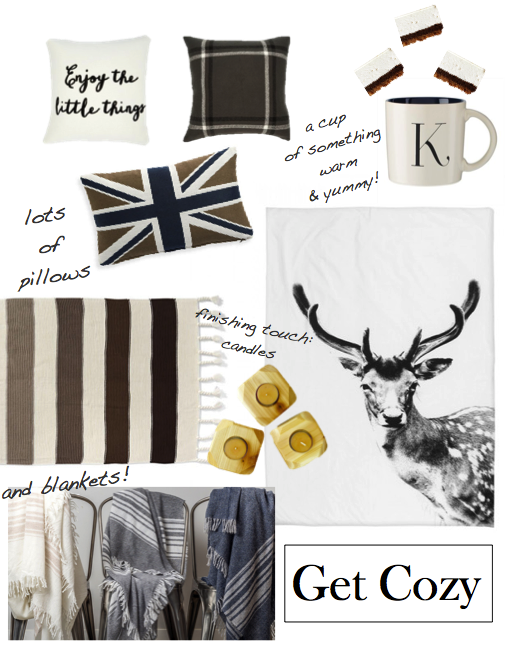 See below for some fun & cozy Fall ideas- don’t forget the hot chocolate!